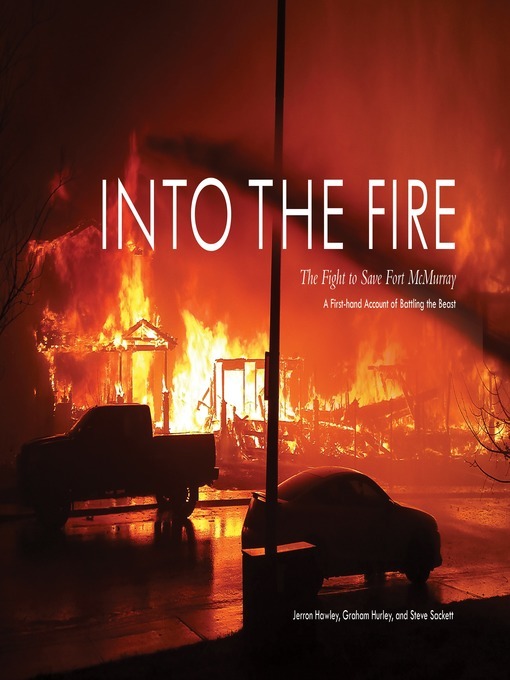 From Goodreads ~ The dramatic story of one of the biggest natural disasters in Canadian history, the Fort McMurray wildfire of 2016, told by three of the firefighters who fought to save the city. On May 1, 2016, a wildfire burning to the southwest of Fort McMurray, Alberta, led to the declaration of a local state of emergency. 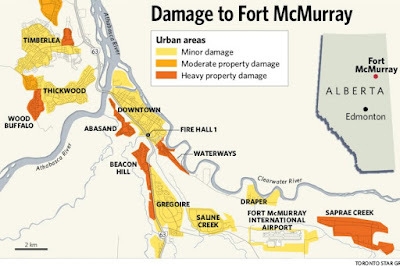 Two days later, the fire had reached Fort McMurray, forcing the evacuation of 88,000 citizens and destroying 2,400 buildings. In total, the fire would consume more than 500,000 hectares. 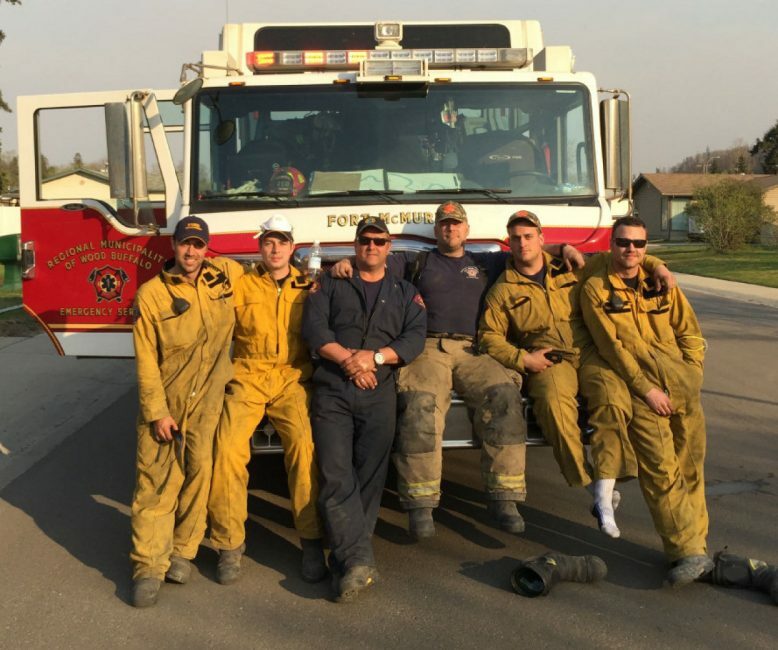 "Into the Fire" is a remarkable first-hand account of fighting a major wildfire as it moved with terrifying speed. 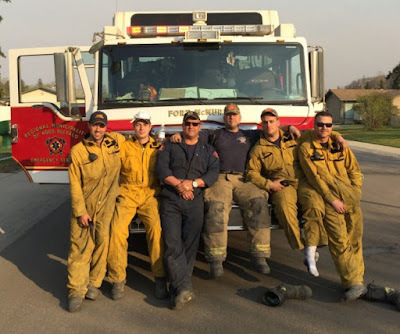 Over the course of six days, firefighters Jerron Hawley, Graham Hurley and Steve Sackett of the Fort McMurray Fire Department joined local expert wildfire teams and fire departments from across the country to battle the blaze. In photographs and notes made at the time, they vividly describe what they witnessed; their own personal losses and triumphs; and the fire's devastating effects. 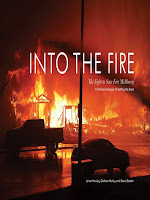 With more than 90 stunning colour photographs, "Into the Fire" is a dramatic eyewitness account of one of the most catastrophic disasters in recent North American history. Intimate in its telling, it is above all a testament to the courage, pride and extraordinary efforts of the citizens of Fort McMurray, who along with emergency personnel, came together to save their city. A year ago Monday, a wildfire began southwest of Fort McMurray, Alberta (about 4.5 hours northeast of Edmonton). 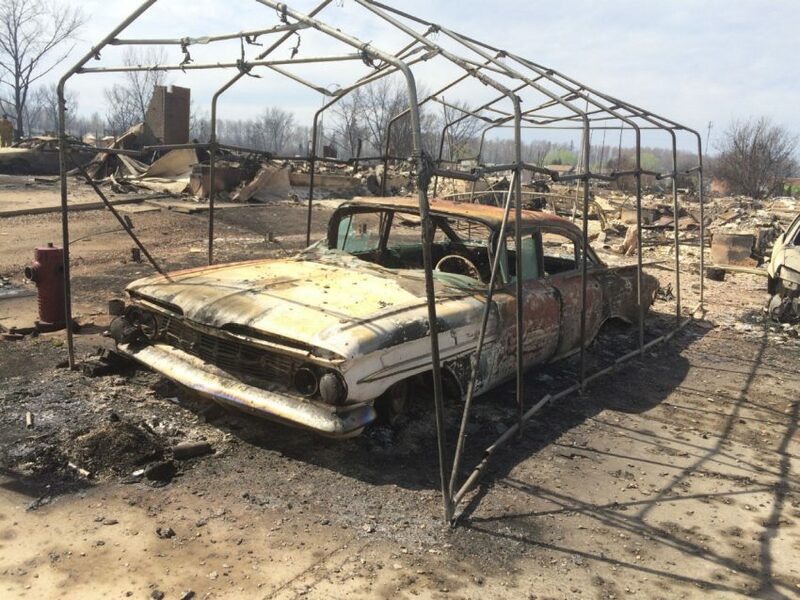 A couple days later, it swept through the community, forcing the largest wildfire evacuation in Alberta's history. Personnel from the Canadian military, Royal Canadian Mounted Police, as well as firefighting forces from Alberta and other Canadian provincial agencies responded. After sweeping through Fort McMurray, the wildfire spread across about 1,500,000 acres, destroyed about 2,400 homes and buildings, claimed two lives, caused about $3.6 billion in damage and prompted a citywide evacuation (80,000 to 90,000 people were forced to flee). Aid for evacuees was provided by various governments and via donations through the Canadian Red Cross and other local and national charitable organizations. This book is written by three of the Fort McMurray firemen who fought the fire ... Jerron, Graham and Steve. 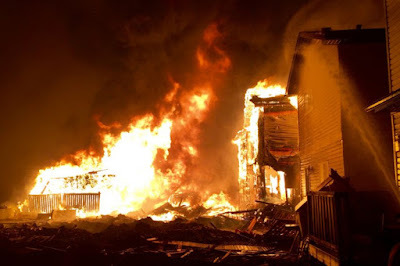 As they were working around the clock to put out the fire, they kept notes and took pictures of what was happening. It was one thing to watch it unfolding on the news last year ... it was another to read the first-hand experiences in their own words. It was an interesting book.